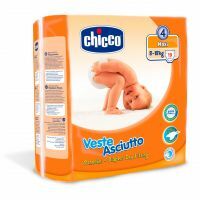 Veste Asciutto diapers are slim and easy to wear and they allow the baby to move freely whilst guaranteeing maximum levels of absorbance. 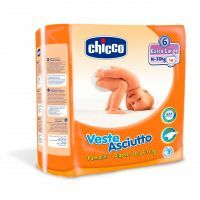 Chicco Veste Asciutto Dry Fitting Diapers - Midi Veste Asciutto diapers are slim and easy to wear and they allow the baby to move freely whilst guaranteeing maximum levels of absorbance. Practical wings gently protect the baby, the soft side barriers prevent leaking and gently but firmly adapt to the baby's legs. The fabric-typeextrenal lining is breathable which keepsthe baby's skin perfectly dry. 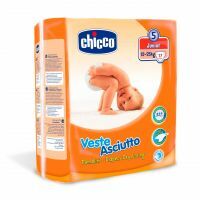 To Recieve updates and possible rewards for Chicco Dry Diapers Chicco Small please sign in. To Recieve updates and possible rewards for Diapers & Nappies please sign in.